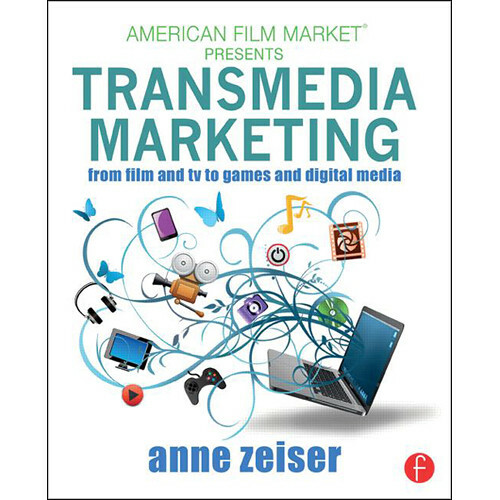 Focal Press's Transmedia Marketing: From Film and TV to Games and Digital Media skillfully guides media makers and marketers through the rapidly changing world of entertainment and media marketing. Its approach integrates storytelling and marketing content creation across multiple media platforms, harnessing the power of audience to shape and promote your story. Through success stories, full-color examples of effective marketing techniques, and insight from top entertainment professionals, Transmedia Marketing covers the fundamentals of 21st century marketing and content planning. You'll master the strategy behind conducting research, identifying target audiences, setting goals, and branding your project. You will learn first-hand how to execute your plan's publicity, events, advertising, trailers, digital and interactive content, and social media. Transmedia Marketing enlivens these concepts with hundreds of vibrant examples from across media platforms, real-world advice from 45 leading industry professionals, powerful in-depth case studies showing successful approaches, and extensive web content with other media materials. Anne Zeiser is a critically-acclaimed producer and media strategist who has stewarded iconic series for PBS, produced news for CBS, managed national brands for marketing firms, and founded Azure Media, which develops transmedia projects on air and online. With media partners from PBS and the BBC to Miramax and Sikelia Productions, Zeiser has successfully launched and marketed film studios and media organizations, feature and documentary films, television series and specials, mobile games and apps, and online video and media communities. Zeiser is a member of the National Academy of Television Arts & Sciences, a board member of the Filmmakers Collaborative, and an adjunct professor at Emerson College. She contributes to the Huffington Post and has been a featured speaker at American Film Market, Making Media Now, AFI Docs, StoryCode, and the Asia Society. Chapter 32 - Market It! Chapter 10 - What's in a Name?